It isn’t all about the travel! 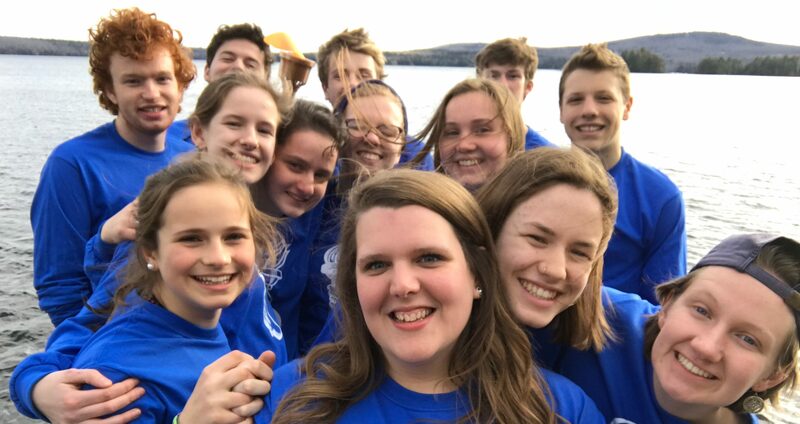 In fact, the Junior Branch (JB) is the very heart and soul of CISV, and members enjoy year-long activities that include monthly meetings, activities such as ice skating and movie nights, and participating in events to support local charities. The Junior Branch comprises young local CISVers between the ages of 10 – 25, who develop intercultural and leadership skills through educational and social activities. Juniors manage their own activities and take an active role in the administrative responsibilities of their chapters. Operating through a network at the national and international level, Juniors organize their own programs on a wide variety of themes, such as social justice and the environment. Junior Branch activities are aimed at building community, developing skills and promoting peace through education. Local Junior Representative (President) – The JB LJR is tasked with making sure the board works as a cohesive group, making sure all events, activities and projects run smoothly. In addition, the LJR ensures that the JB Board and the Adult Board are working together proactively. Additionally, the JB LJR are responsible for planning the Regional Mini Camp (RMC) each year. Jr. Local Junior Representative – The JB JLJR spends their year in preparation for being LJR the following year. As the year progresses, the JLJR will take on more of the responsibilities that come with being LJR. Treasurer – The JB Treasurer keeps track of all JB funds, making sure the JB is accountable for what funds are raised as well as what is invested into activities for the chapter. The Treasurer also maintains open communication with the Treasurer of the Adult Board. Secretary – The JB Secretary has the task of making sure everything the board does is documented, especially decisions that will affect the future of JB (such as changes to the bylaws and minutes from board meetings). Communications – Communications is tasked with documenting the activities of the chapter, including: taking photographs at events, sharing details of events with the chapter-at-large, as well as operating the chapter’s social media accounts. Members at Large – Full members of the board, Members at Large assist with monthly activities and the planning and running of Maine Mini-Camp. National Service Project Leader – The National Service Project Leader works with the National Service Project Working Group to design and facilitate JB Maine’s National Service Project with a Like-Minded Organization (LMO).